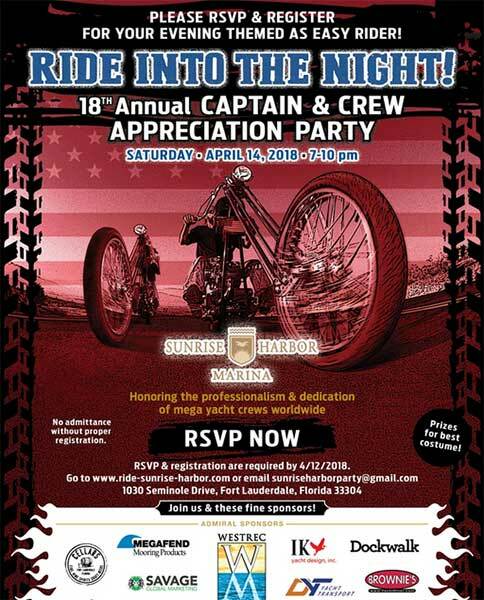 The Captain & Crew Appreciation Party at Sunrise Harbor Marina is Saturday, April 14, 2018 from 7-10pm. Get your costume ready! You must use this RSVP Link to gain admittance.